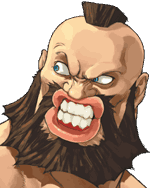 Zangief enters any and all Street Fighting tournaments purely to prove his worth as the greatest wrestler in the world and to maintain his reputation as the Red Cyclone. He is extremely proud of his motherland, the Soviet Union, and he is determined to represent it as the champion of each tournament. 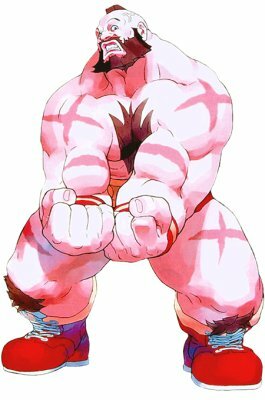 Throughout the EX tournaments, he encounters an Indian wrestler who comes as close to Zangief's might as anyone he has ever faced. Duly impressed with Darun's prowess, he is excited to meet another wrestler of such caliber and to have someone worthy of practicing with. When the third tournament is announced, they are eager to become each other partners and treat the events like tag team competitions, much to many of the spectators' (as well as some fighters') amusement. This page was last edited on 15 January 2008, at 19:39.